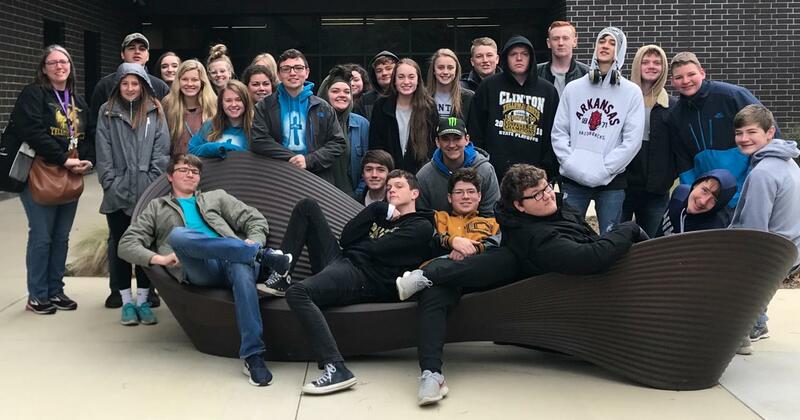 10th, 11th & 12th grade students from Clinton attended a field trip to tour the campus at UALR on Wednesday, November 14, 2018. Chaperones include Marcia Smith and Amy Blanton. Jim Hawk, bus driver, got them there and back safely.